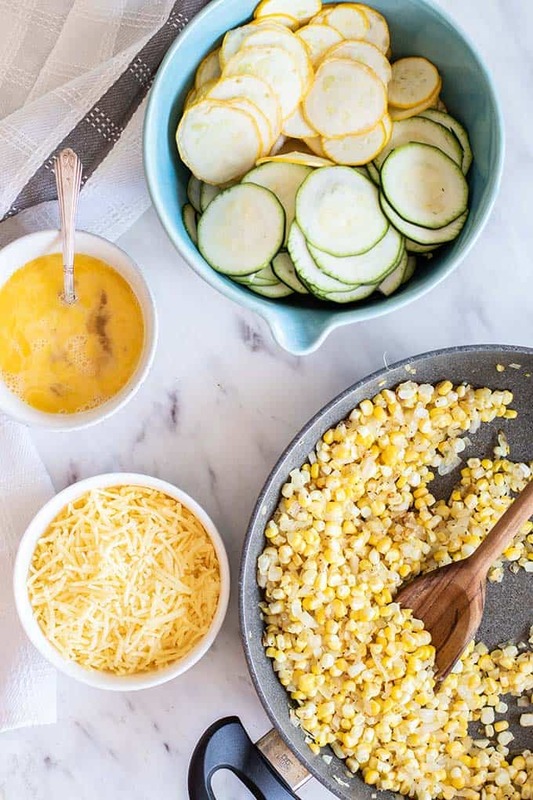 Bring on the light summer meals with this Sweet Corn and Zucchini Pie recipe. 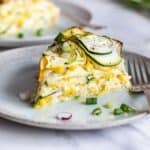 Bake layers of summer squash with sweet corn, cheese, and just enough egg to hold this vegetable torte together and slice into beautiful pieces. A great brunch addition! This vegetable torte makes for a beautiful presentation at a brunch or for a summer meal. I am planning on making this for our Easter potluck brunch. Something so beautiful makes healthy eating more fun. Be sure to save (or Pin) this recipe for when your summer garden is abundant. We ate so much zucchini in the summer when I was a kid – this would have been a great option for it! Use a mandoline slicer to very thinly slice summer squash for the easiest assembly. It’s a lot faster than trying to hand cut tons of slices in even pieces! 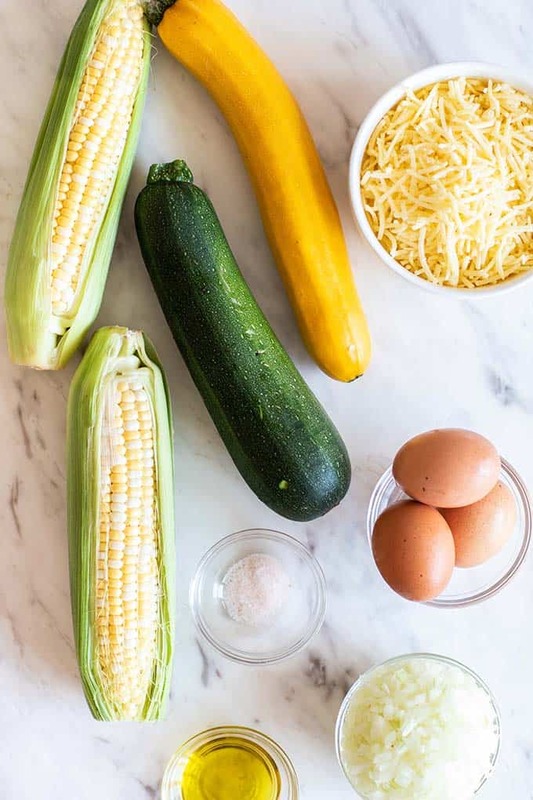 Once the zucchini is ready in slices, make the corn mixture by sautéing the onions and the corn, and seasoning it with salt and pepper. I like to bake this in a springform pan so there isn’t an issue removing it. I am sure a regular cake pan would work, just be sure to allow it to set before trying to take it out of the pan. Line a springform pan with parchment to keep the egg from seeping out the bottom of the pan (saying this from experience!). Another option would be to bake it on a baking sheet so if egg comes out, it doesn’t drip down in your oven. 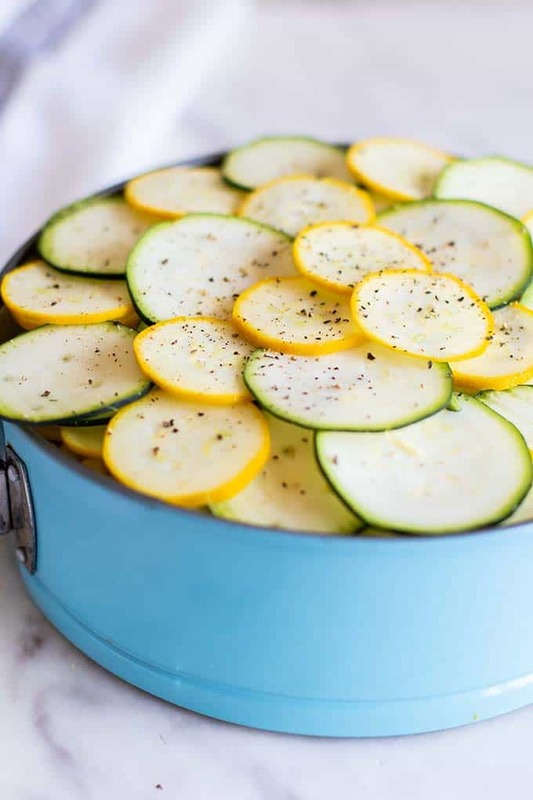 Layer the thinly sliced zucchini in the bottom of the pan (I used 2 layers – if your zucchini slices are handcut, you only need one layer). 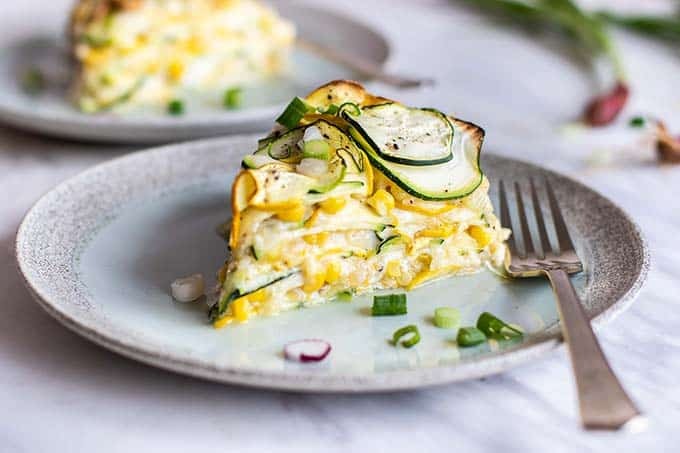 Between each zucchini layer, add a layer of sweet corn, cheese, and a little egg. This isn’t really an egg dish. The egg is there simply to help hold it together. 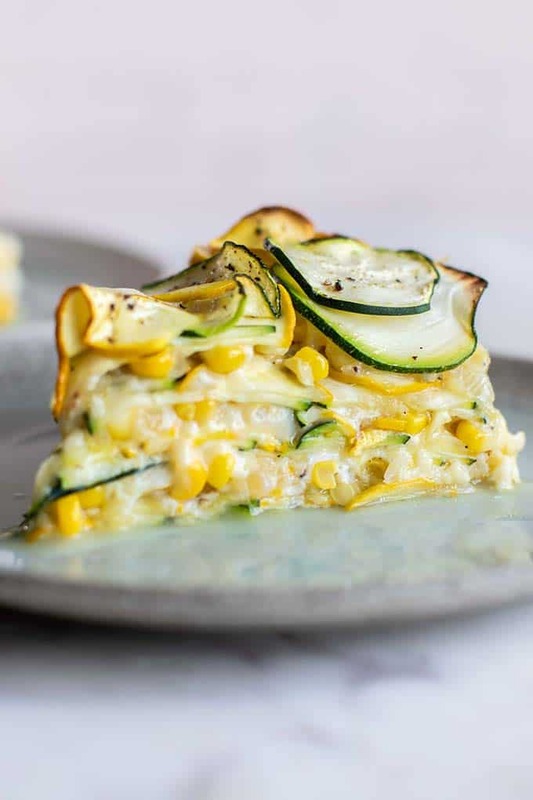 I love having lighter meals in the evening, and this healthy Sweet Corn Zucchini Pie is has been on regular rotation the past few weeks! So much summery flavor, with just the right amount of cheese to turn it into a meal! This bakes quickly in my Sharp Superheated Steam Countertop Oven. 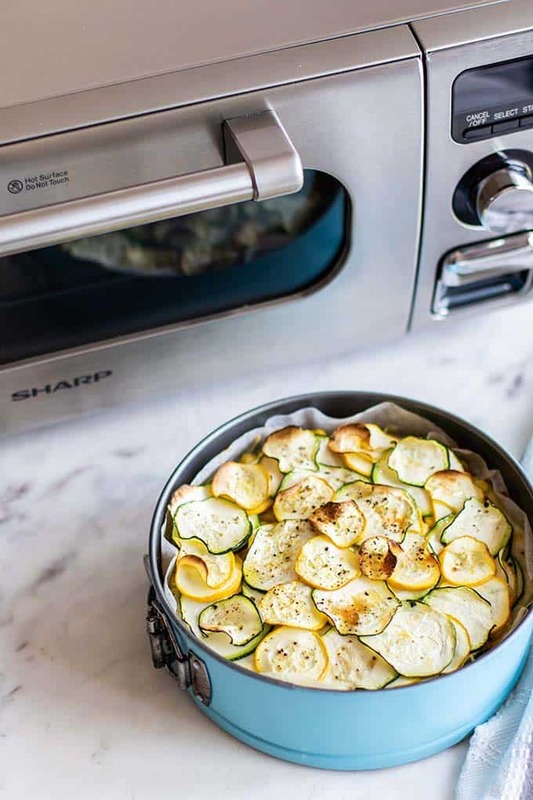 If you’re making this mid summer, you’ll appreciate that there’s no need to preheat the oven, and it emits very little heat. I used my steam oven so much last summer when I really didn’t want to turn on my oven! Another amazing thing about the Superheated Steam Countertop Oven is that it bakes about 1/3 faster than a regular oven. Precious minutes on a busy day! 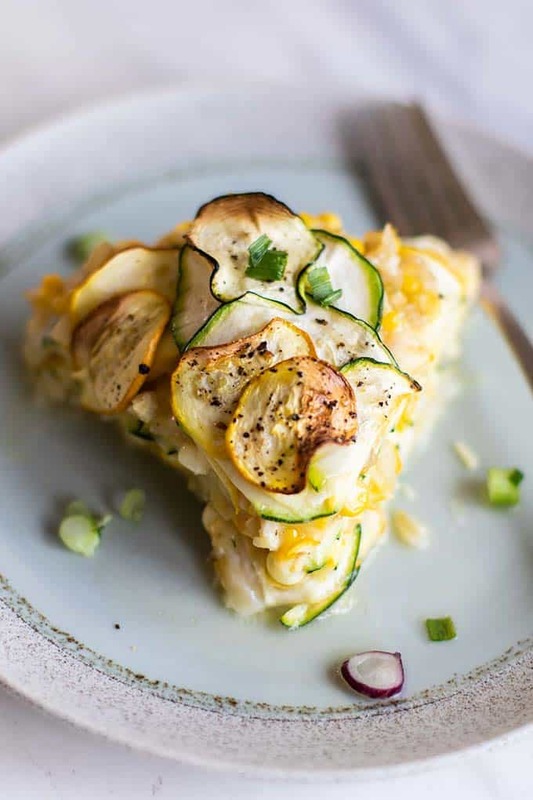 Enjoy this healthy zucchini pie with a salad for the perfect summery dinner. I make this just to keep in the refrigerator for quick meals. I eat it for breakfast, lunch and dinner. A little bit of hot sauce jazzes it up if I am eating it plain, which I often do. A salad with lots of balsamic goes very well with it also. A light summery meal or brunch addition! This vegetable torte screams summer. Serve with with a side salad for an evening meal, or fruit for a healthy breakfast. 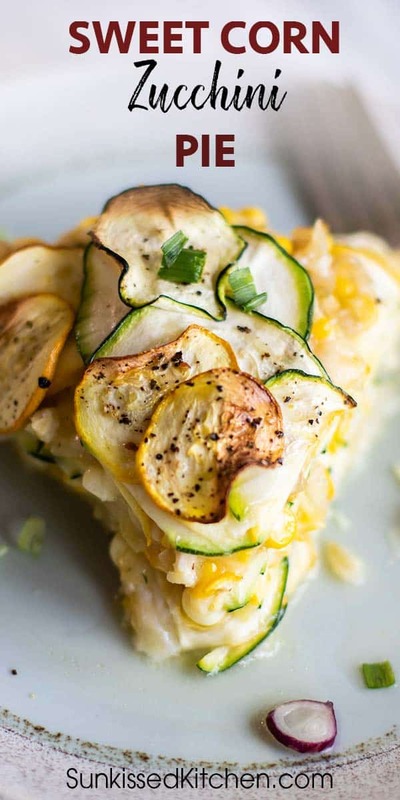 This zucchini pie is great cold and makes a great meal-prep breakfast option! This Zucchini Pie recipe post may contain affiliate links, meaning if you make a purchase, I will receive part of the sale as a commission. This helps me continue to bring you lots of fresh and inspired recipes!